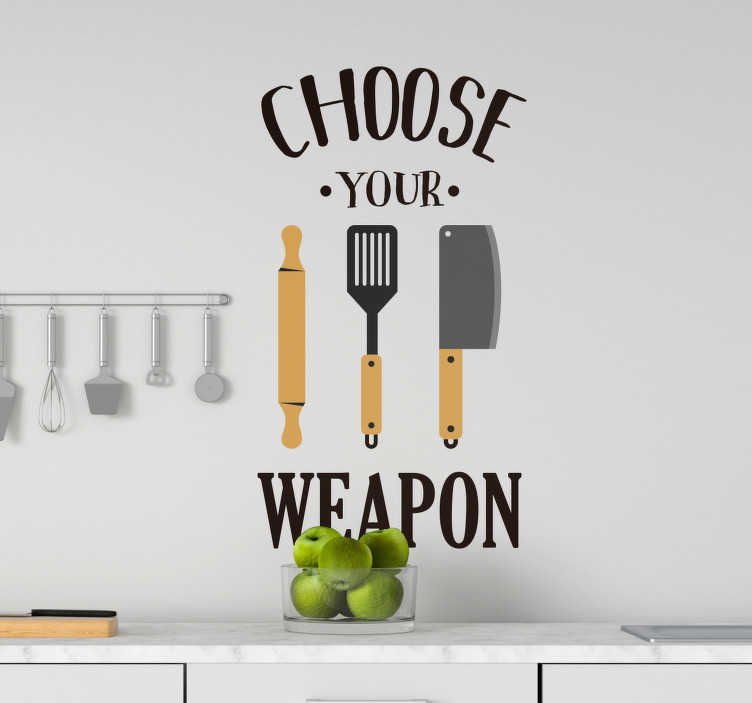 A very cool kitchen wallsticker of a game to 'Choose your weapon' between choosing a different types of kitchen requirements. What will your choice be? This wallsticker for kitchen or living room wallstickers is available in all different sizes. Besides, this food wallsticker is available in a large sum of 5o0 different colours. Enjoy this interesting game kitchen wallsticker and funny kitchen wallsticker.